Often, when we think of inviting our kids to cook with us, we only attempt simple recipes. However, there's nothing like a good fiddly recipe with lots of measuring to give our young children confidence in the kitchen. 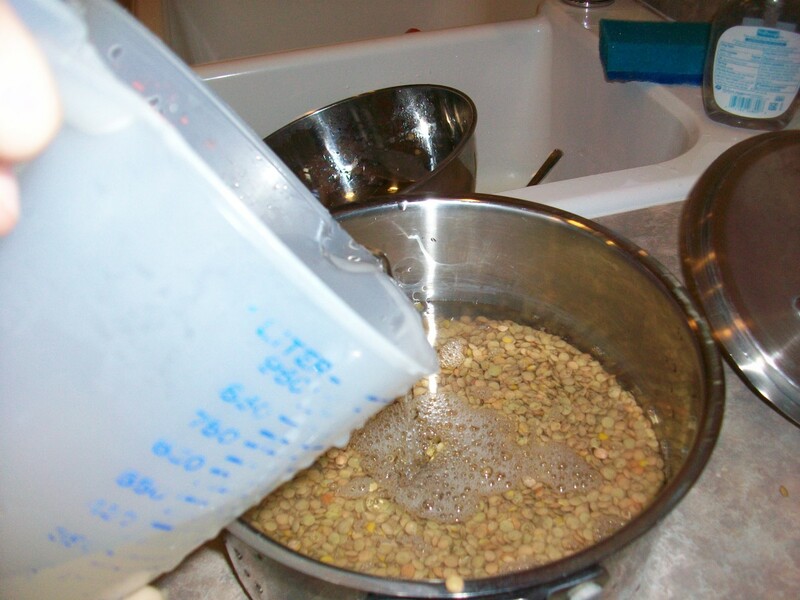 Lentils Ranchero is just such a recipe, involving lots of measuring, but only two steps that kids cannot do themselves. Plus, kids are much more willing to try something new if they've had a hand in making it! 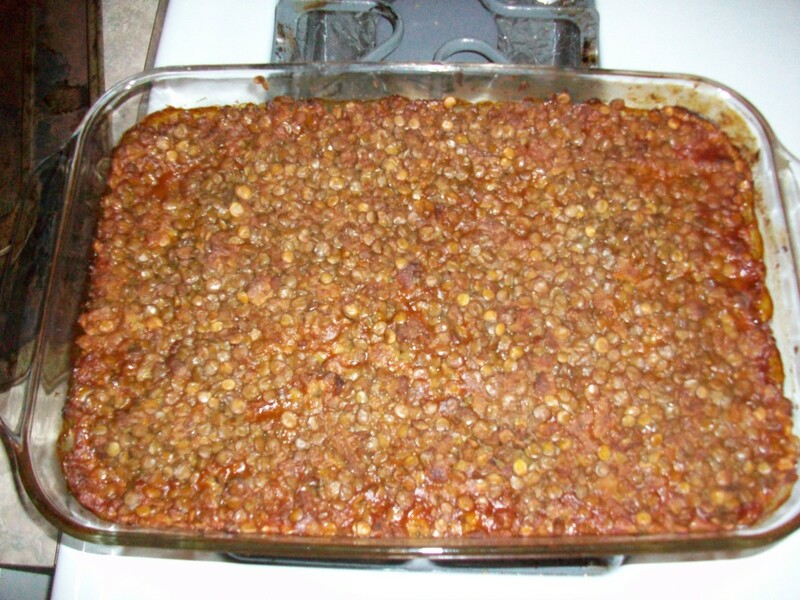 Note: If you are not vegetarian, this recipe can also be made with ground beef, in which case you should brown the beef in a separate pan and drain it before mixing it with the seasonings and lentils. Baking instructions are the same. 1. 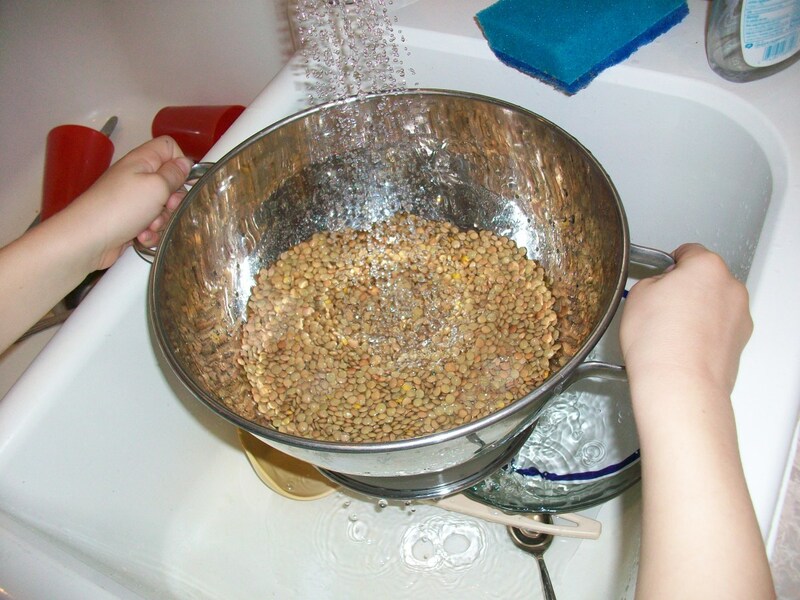 Have your child put the dry lentils into a colander and rinse them clean. Tell him to pick out anything that doesn't look like a lentil, so you don't end up with any tiny rocks in your dinner. 2. 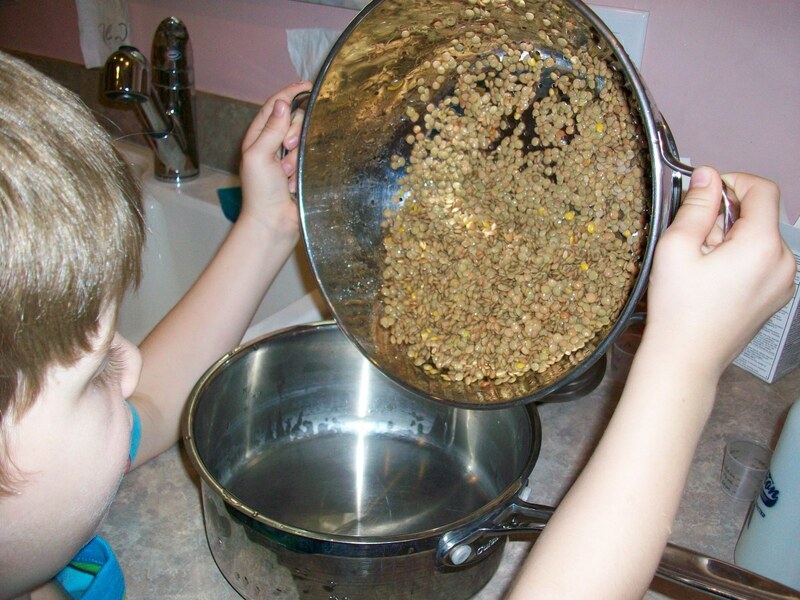 Have your child carefully pour the clean lentils into a 3-quart saucepan. Then he can measure and add one quart of cold water to the pan. 3. Place the pan onto a stove burner at medium heat. 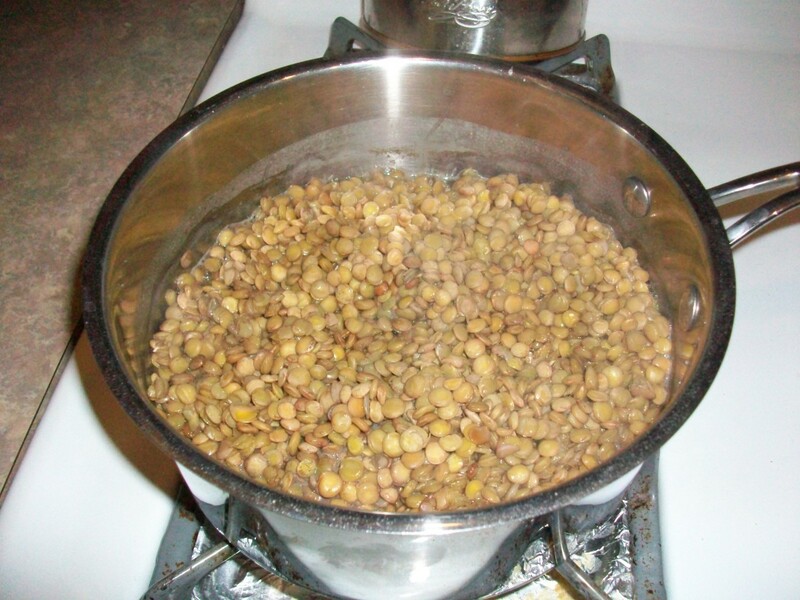 Let the lentils cook for half an hour. You can stir them once in a while, but you don't really need to. Preheat the oven to 400 degrees while you're there. 4. Now comes the really fun measuring! 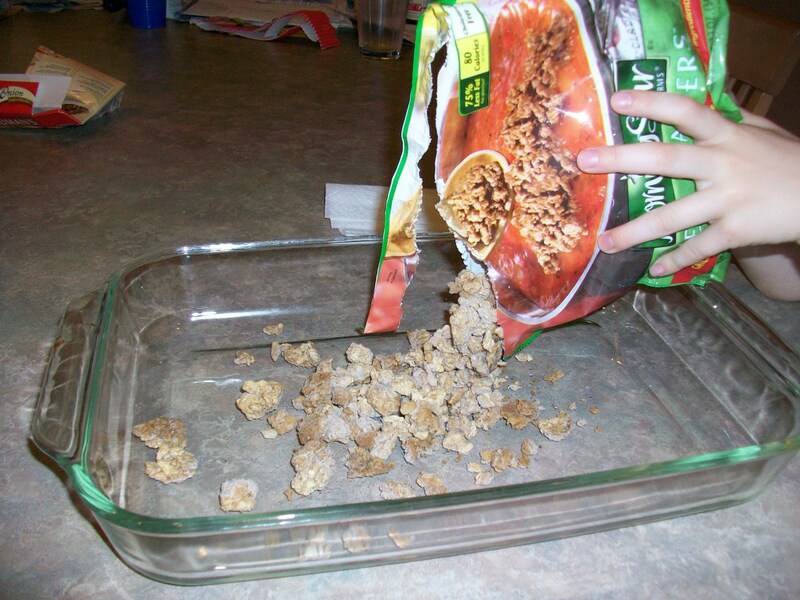 First, have your child pour the whole bag of veggie crumble into a 9"x13" baking dish. Straight out of the freezer is fine! Let him add the packet of dry onion soup mix as well. 5. 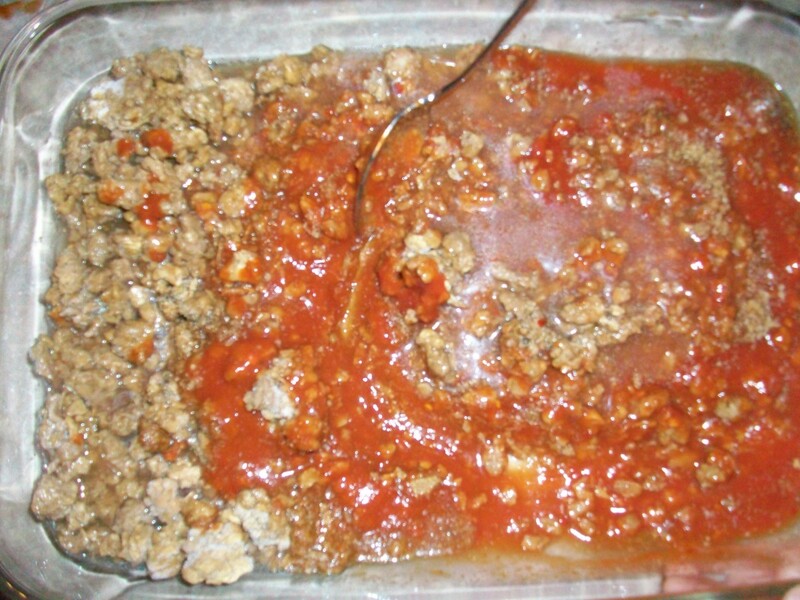 You'll need one cup of ketchup or taco sauce or a mixture thereof. (It depends on whether your family likes a little zip or not.) 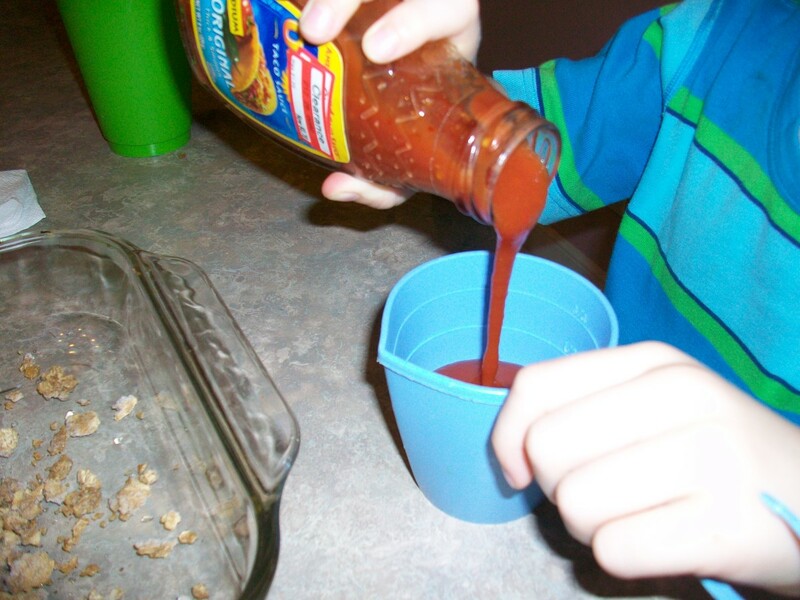 Your child can pour or squeeze the sauce into a 1-cup measure, and then scrape it with a spoon into the dish. 7. 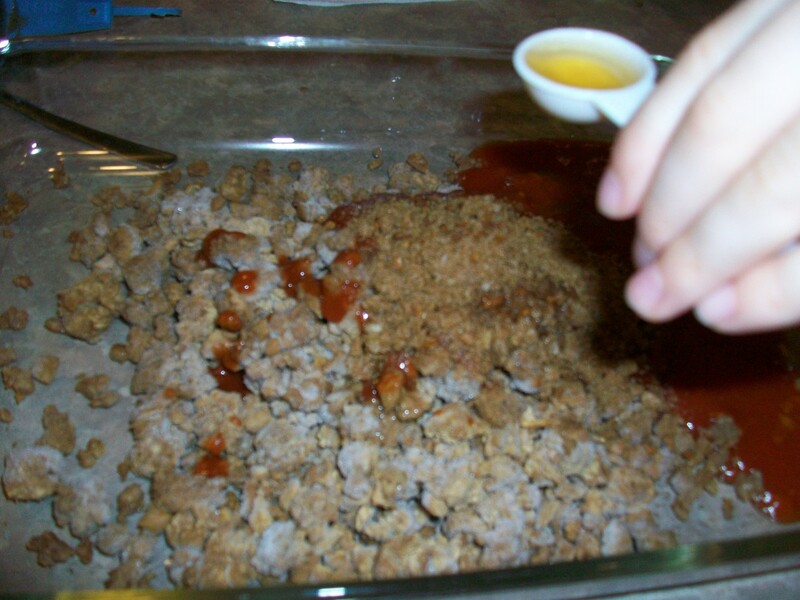 With a big spoon, let your child mix together all the cold ingredients in the baking dish. Now's a good time for you to see what's happening on the stove. Back at the stove . . .
8. The lentils should be just about done. Almost all of the liquid should have boiled away. 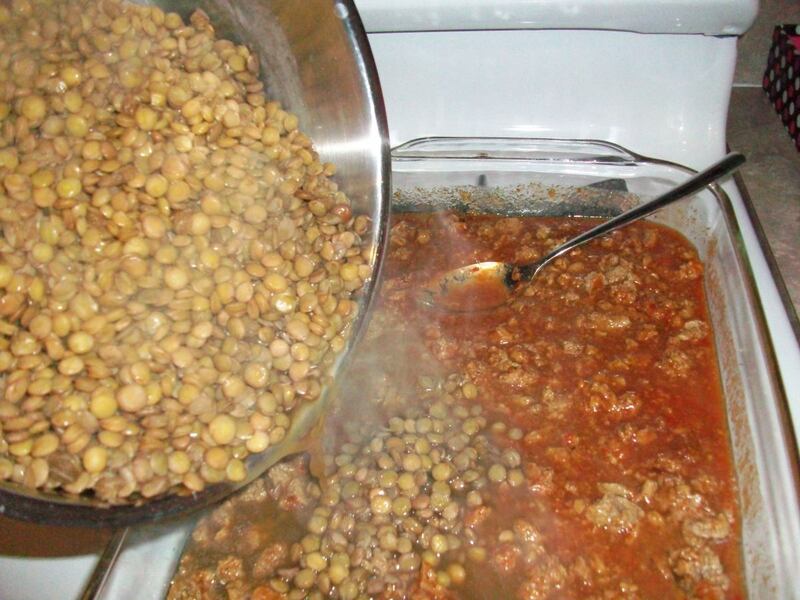 Carefully pour the hot lentils into the baking dish and mix up well. 9. Put it into the oven at 400 degrees and bake for 30 minutes. 10. 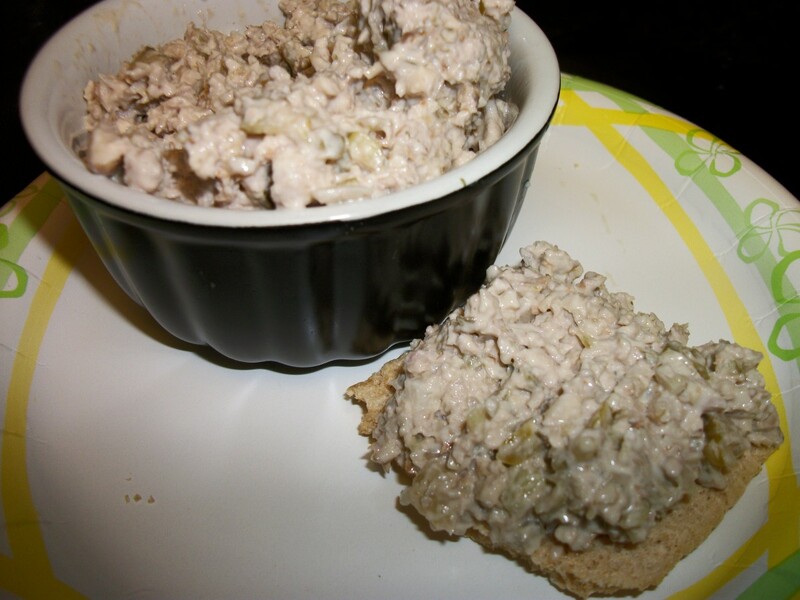 Serve with crusty bread or white rice and a nice green salad. 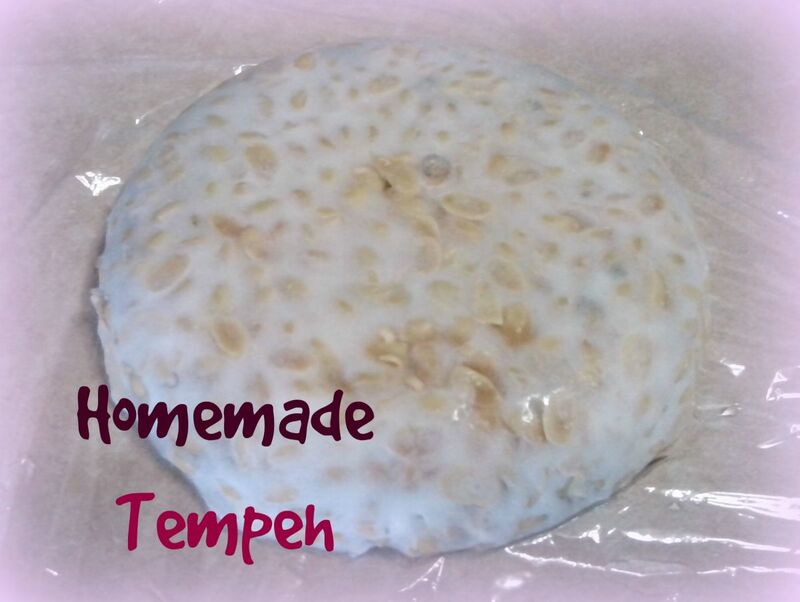 Your kids may enjoy eating it with tortilla chips or rolled up into a burrito. Have fun with it! Thanks, theclevercat. It does look good, doesn't it? Like you could just take the serving spoon and dig right in! Ooh, Lentils Ranchero! I totally love this recipe. "Ask me why and how I found the original in a non-vegetarian cookbook." Haha! That gets me every time. Fabulous pics, too! 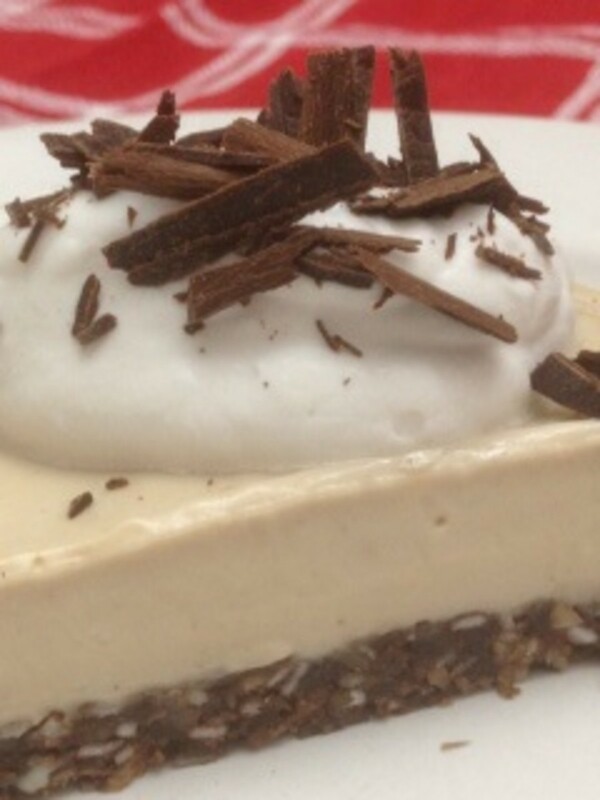 Georgina and Simone, thank you for checking this recipe out. Please let me know how much you love it after you try it (because you WILL love it!). Thank you, NatalieSack. 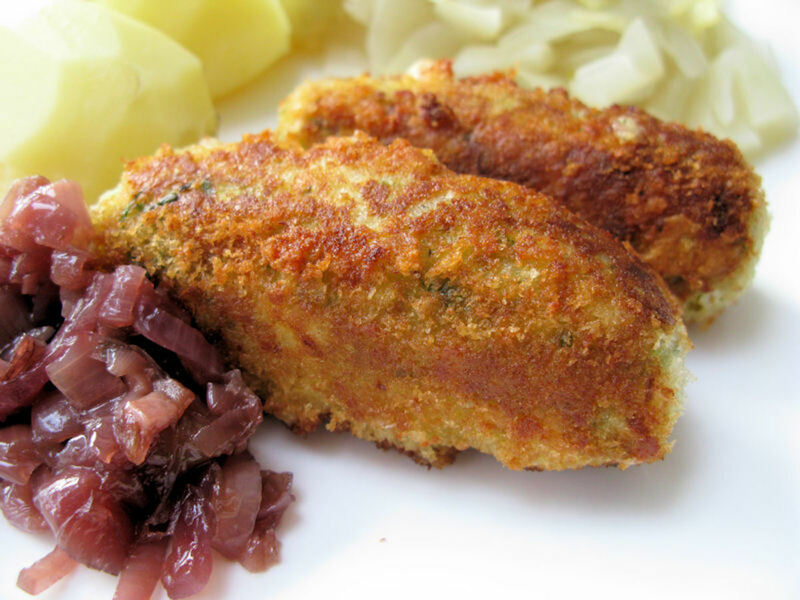 It was my favorite recipe as a kid (made with real meat), and it's still one of my favorites as an adult (both the veggie and the meat versions). Hyphenbird, thank you. Let me know how you guys like it. Creativelycc, I hope you do try it with your granddaughter. Young kids find measuring and stirring so much fun that it doesn't even occur to them that they are learning useful life skills! Oh my goodness, this looks so tasty!! I totally want to give this recipe a try. Great recipe - I'll be trying this one. I don't have children, but I LOVE lentils and I am totally trying this. This sounds great. My son loves to cook so we shall make this very soon. Thanks for the recipe. This sounds delicious, I'll have to try it with my granddaughter one day. She is six years old and loves to help me in the kitchen. 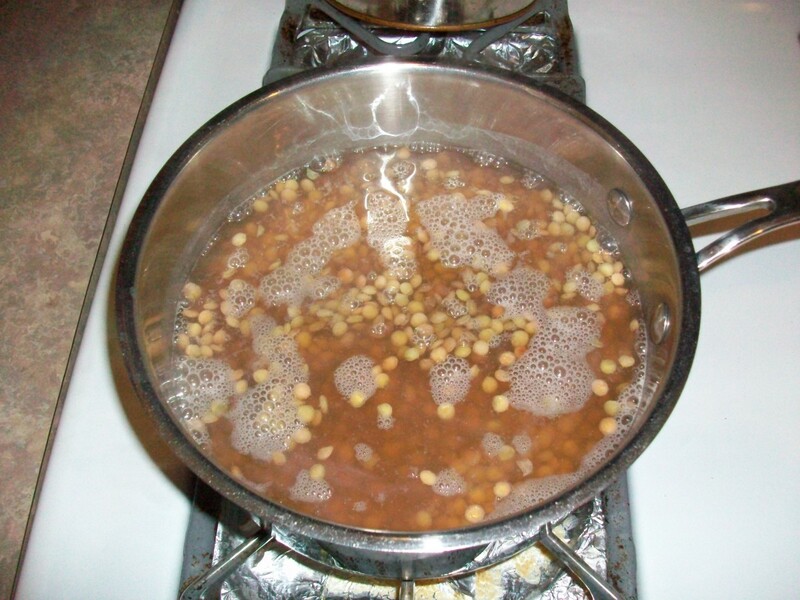 Lentils are so good for you, so full of protein. Thank you!